The Ultimate Bartender School offers the best, most complete, and feature packed Online Bartending Training Program available! The ONLY online Bartender Course that's fully Mobile Device compatible. Learn from your Android, iPhone, iPad or any other mobile. Our Online Bartending School is backed by our brick and mortar Bartending Schools Nationwide and we're just as dedicated to ensuring you receive a quality Bartending education & training. Once you have completed our extensive Online bartending Course you WILL have the knowledge & skills required to become a competent, and WORKING Bartender! Best of all, you can do this on YOUR OWN schedule from the comfort of home and for a fraction of the price of a traditional Bartending School! Plus, unlike other Online Courses out there which just give you a link PDF Bartending guide, we offer a feature rich, interactive and highly engaging Training program featuring hours of Instructional Videos, Challenging Exams and useful tools including our exclusive Bartender Resume Builder! 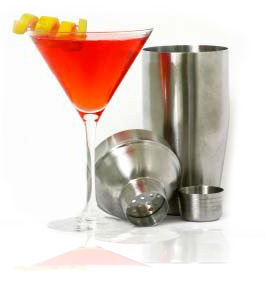 This makes the Ultimate Bartender School hands-down the BEST VALUE in Bartender Training available today!